Animal Reiki is very simple and to me one of the most enjoyable ways of using Reiki. It is gaining in popularity more and more in metro areas. In Los Angeles, CA most animal lovers have heard of Animal Reiki. Animals are treated like family members and in some cases are more spoiled than the children. In this area of the world any new healing method or way to spoil their furry family members are sought out. There is a huge population of animals that are left out of this small world. I live in a more remote area in the mountains of Southern CA. Here many people have farm animals and horses. There are sheep, chickens, goats, mountain lions, bob cats, owls, turkeys, deer, snakes, wild dogs, homeless dogs and cats, hawks, etc, all found in the same area. I am a huge animal lover and realized that there were so many more animals out there that Reiki could benefit besides those that were brought in as typical house hold pets for Reiki Sessions. I wanted to send Reiki to all animals in my area not just those who had a human owner. Here is a short, basic method I came up with to send a basic healing out to all animals in my area. There are so many different variations of ways to do this. It is my hope that you will read this and use it as a guide to formulate your own method for the animals near you. 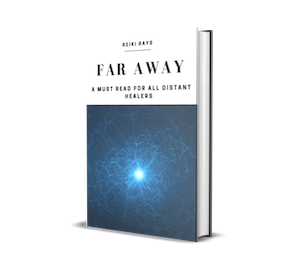 Ground yourself and prepare for a Reiki session in your own typical method. I like to make Master symbols on the palms of my hands at this time as well. Visualize all of the different types of animals that you have seen in your area that you would like to send healing energy to. Picture a big positive, loving ball of white divine light surrounding these animals in a group. Visualize that this ball of light is surrounding them like a protective bubble that no negativity can pass through. Make the master symbol (or whatever else you feel called to do) on the outside of this bubble. Make the distance healing symbol on the bubble. (If you are not attuned to this symbol I still believe that you can have some success with this method because of the strong power of intention with Reiki). Beam Reiki for 10min (or however long you feel called to do so) to the group of animals. Make the grounding symbol on the divine ball of light surrounding the animals and then ground yourself. You are done! Awesome, Justine! I do similar things with the animals around my home near the edge of a small city, where urban and country begin to meet. There are many types of small animals and quite a number of feral cats. I send Reiki to them all, especially during difficult weather. I love your articles. I haven’t come across the grounding symbol and I’m level 2 – can you describe it? Want to help animals that are suffering from physical and emotional trauma. Physical trauma you can see. Emotional trauma is something that does not always appear immediately. Just getting started in business. Just saw your article and have been searching for a way to send reiki to animals. I was learning reiki, and connected to source shortly after my first attunement. My reiki teacher was excited for me at first but eventually got freaked out when I continued to download ftom source. Lately I have bern wanting to get the second attunement to be able to do distance healing for wild animals (specifically wild birds sonce they called out to me spirituality for help) but haven’t found the right reiki master who wouldn’t get scared off or weirded out by me. So hearing your belief about still having an effect, even without the second attunement, brings me hope and happiness. I’m on my phone now but I will have to check your article out more when I’m on my hal (computer). Thanks : ) we’re on the same page about reiki for animals. 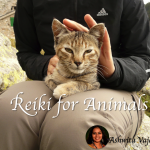 You can find reiki videos specifically for pets, cats, or dogs easily bit I’m having a harder time finding reiki videos to heal wild animals specifically like you can for pets.